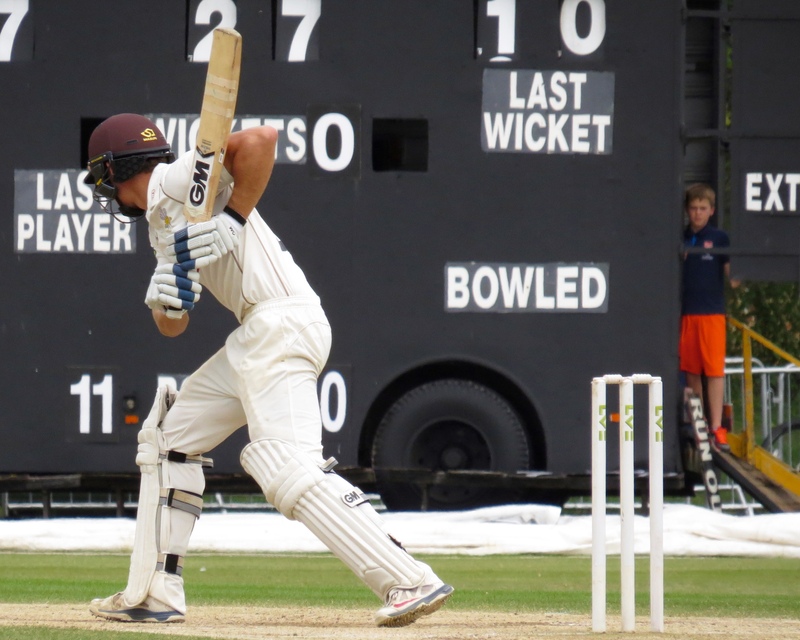 After a crazy few days which took me from Nottingham to Cardiff – as you do when you’re sports focussed and not – they’re miles apart focussed I was looking at a week – well 5 days without sport! 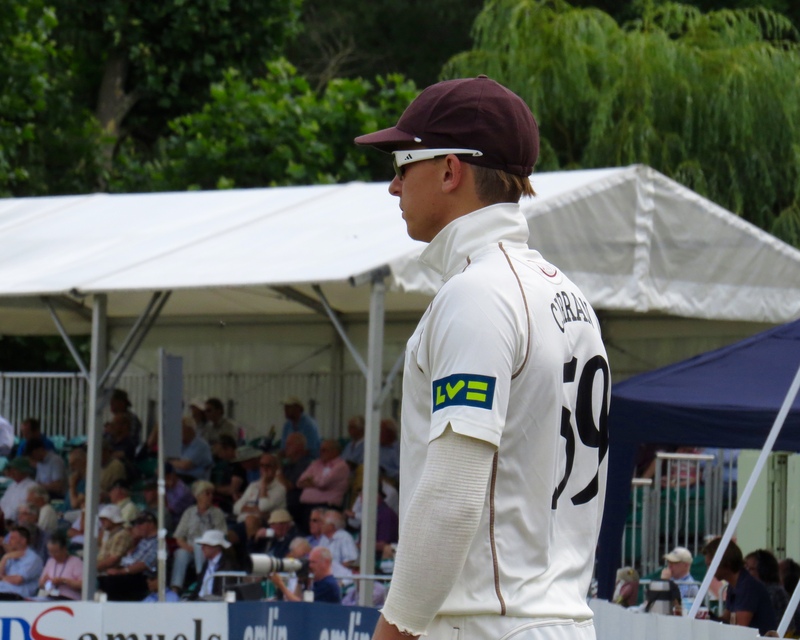 A quiet few days at home after driving a little under 800 miles seemed sensible. 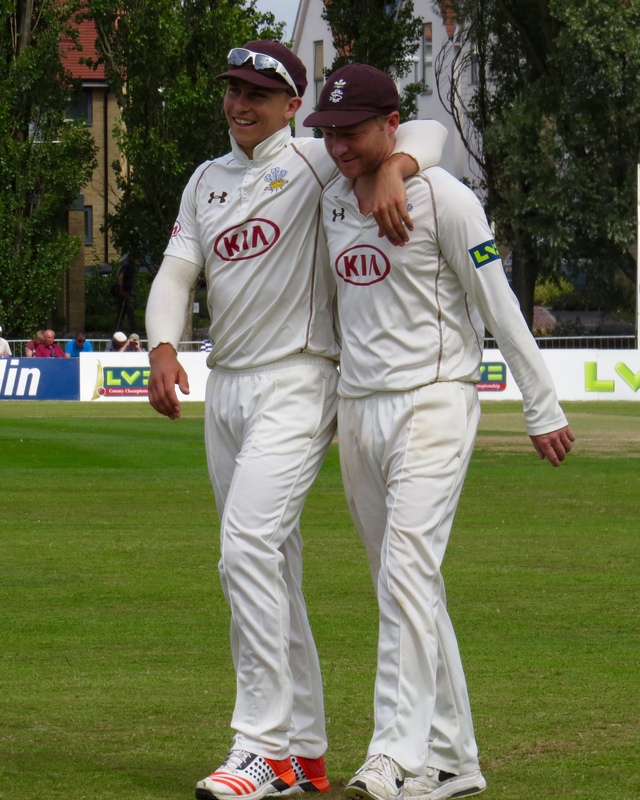 However Surrey were in Essex! 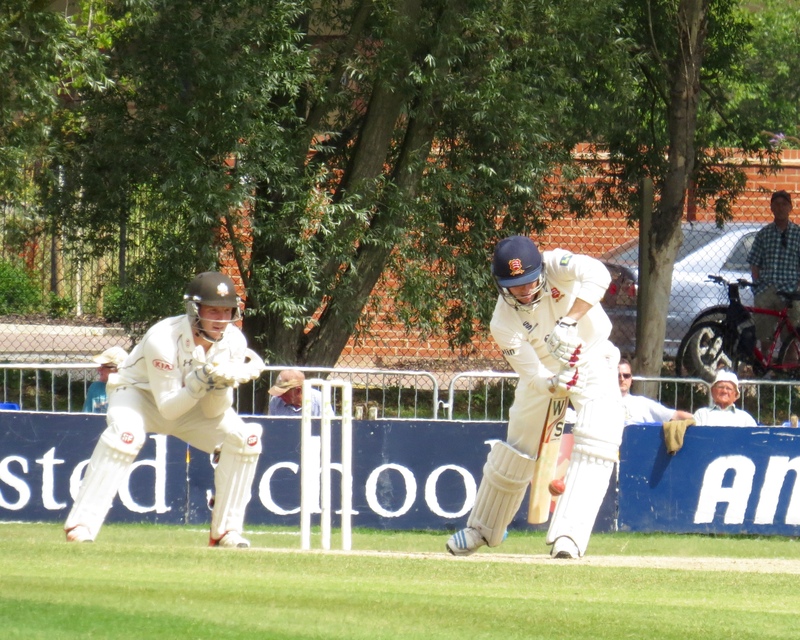 Well, in Colchester, that meant the 2 teams I’ve been watching throughout the summer were going head to head. 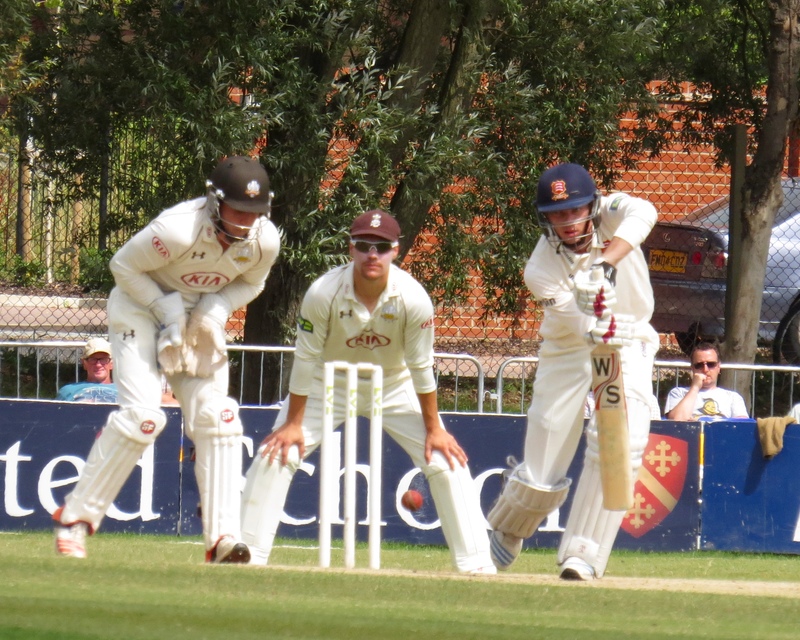 Now, I am a member of both counties, but first and foremost an Essex girl – you can tell I hear you say! 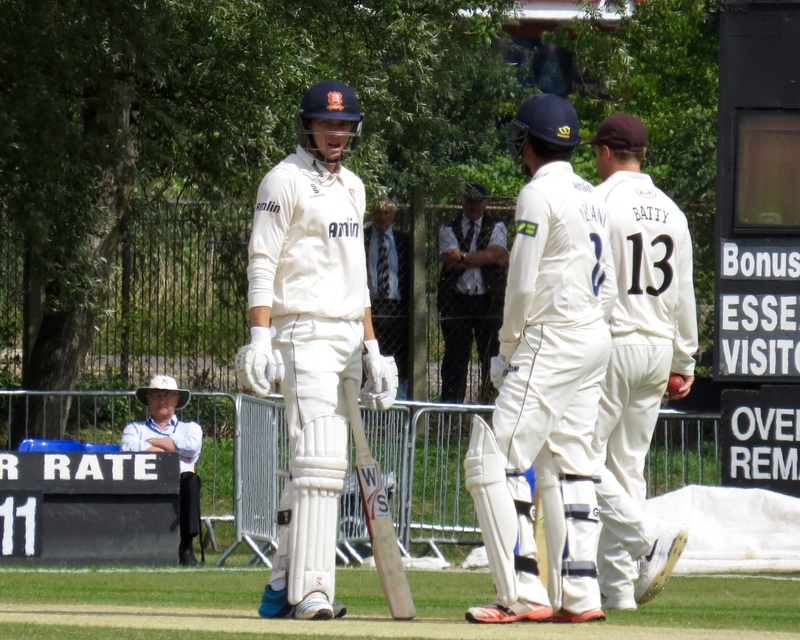 So I went along to Colchester hoping to see an Essex win, but more than anything hoping I’d see some good cricket. 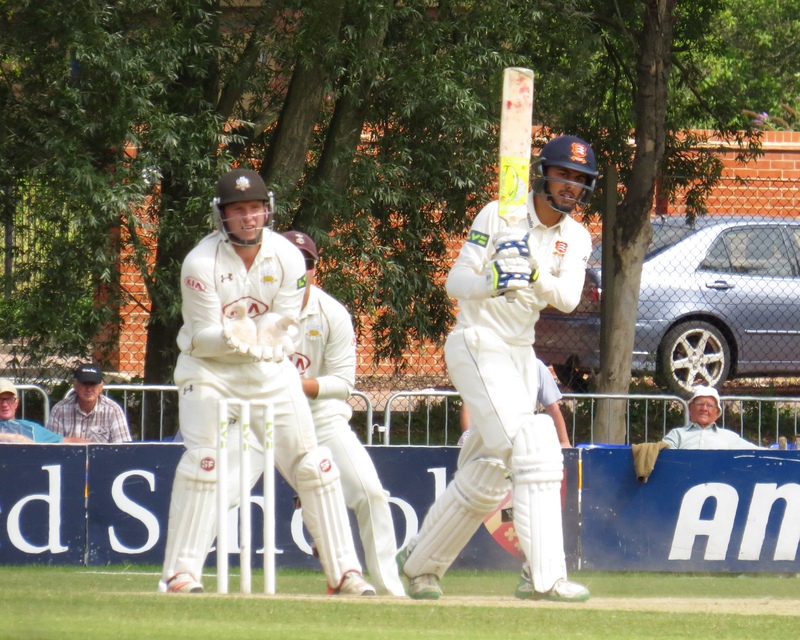 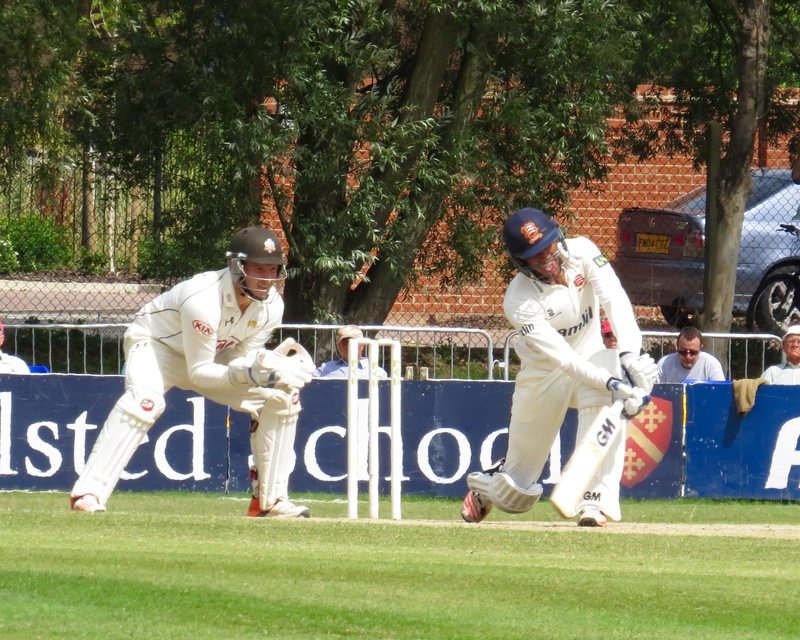 Essex had scored a decent 369 in their first innings with Nick Browne opening and scoring 114, Mark Pettini went in to bat at number six and scored a huge 134. 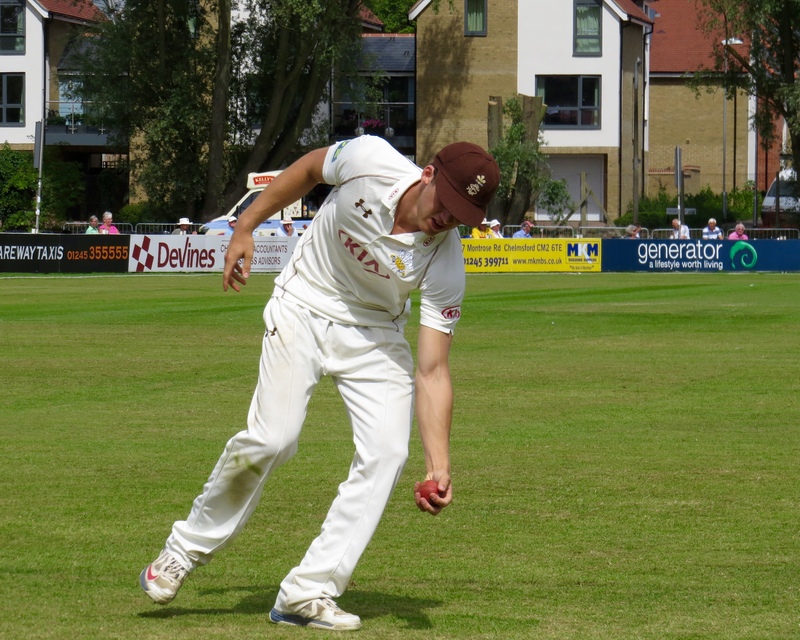 Zafar Ansari was the pick of the Surrey bowler taking 5 for 108. 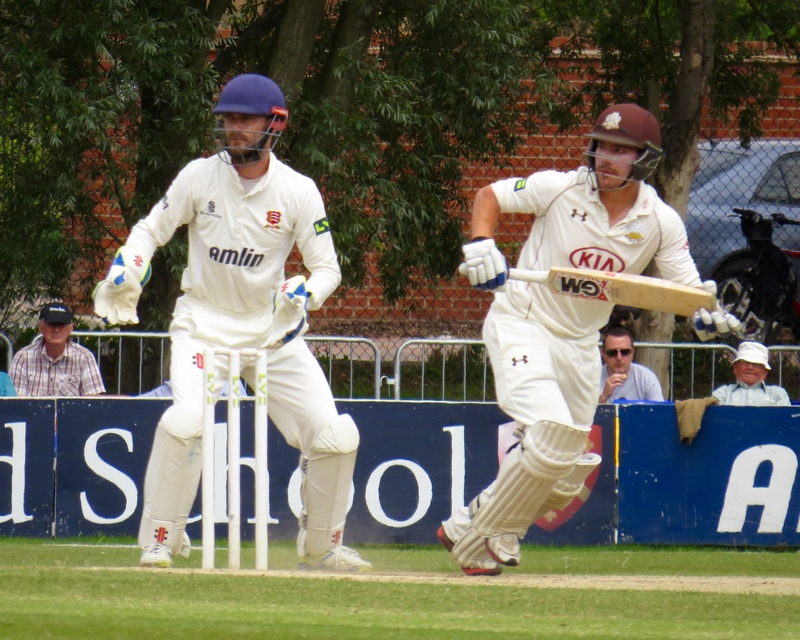 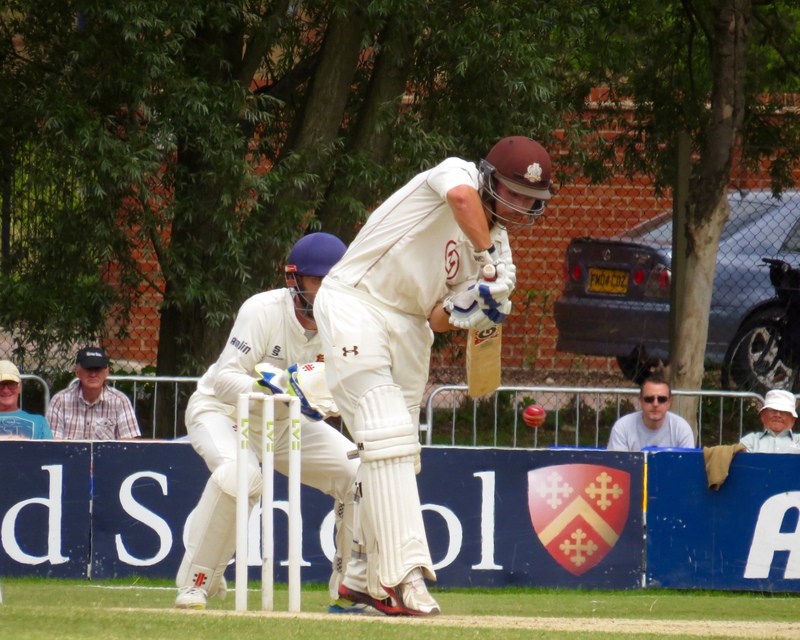 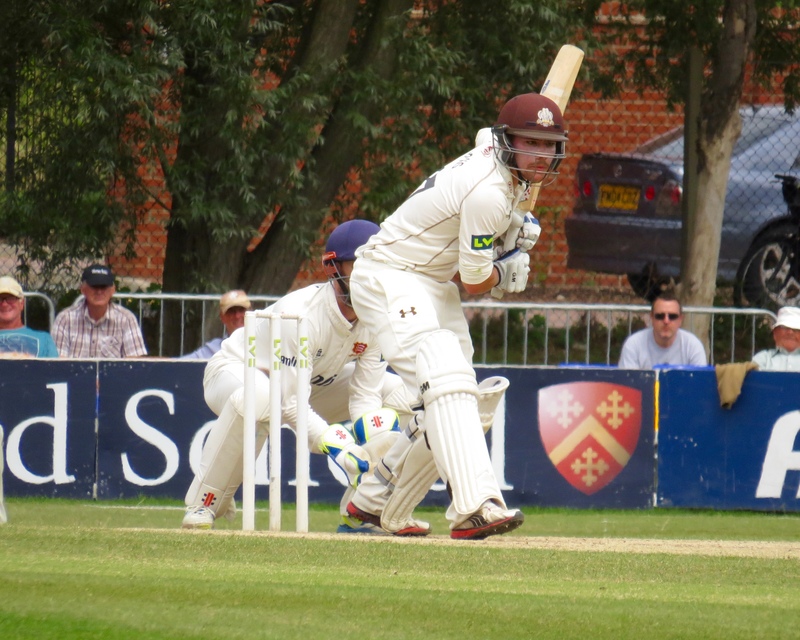 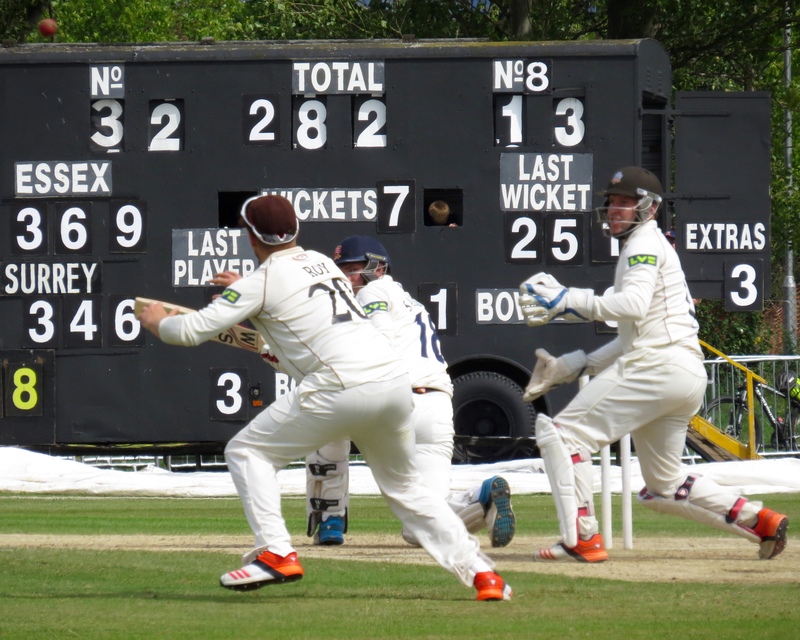 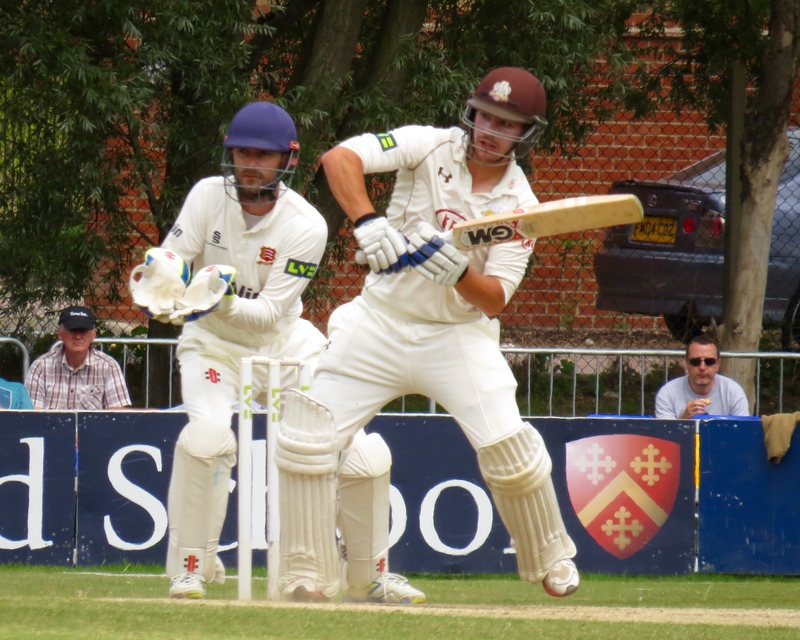 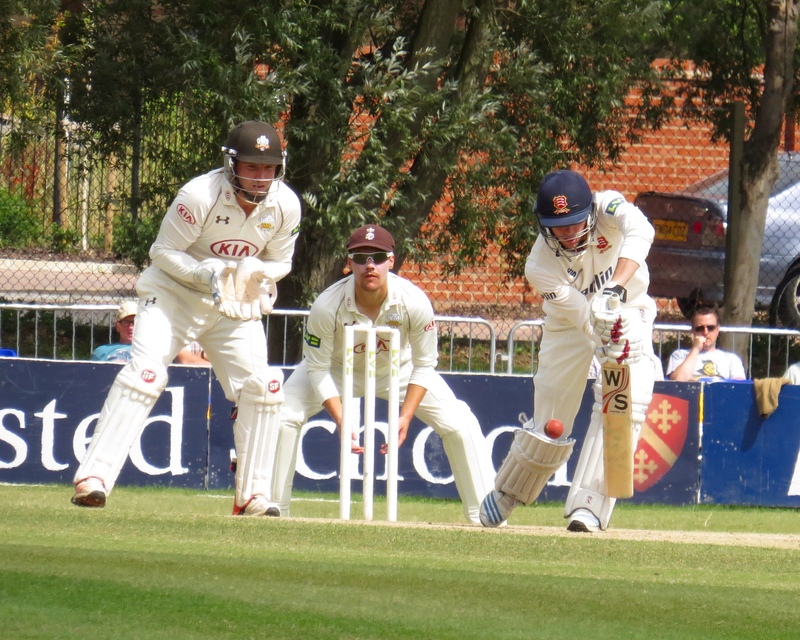 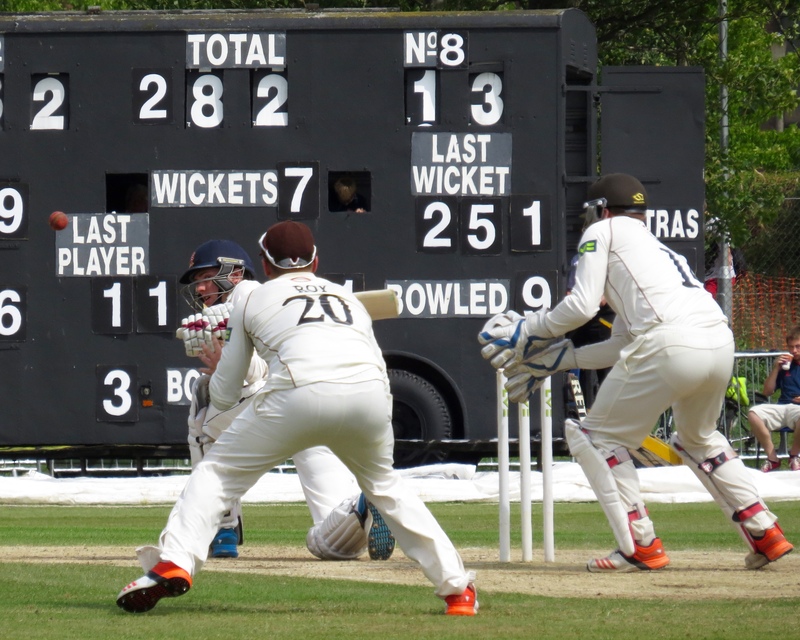 Surrey responded with 346 with Rory Burns being the stand out batsmen scoring 158 as the opener. 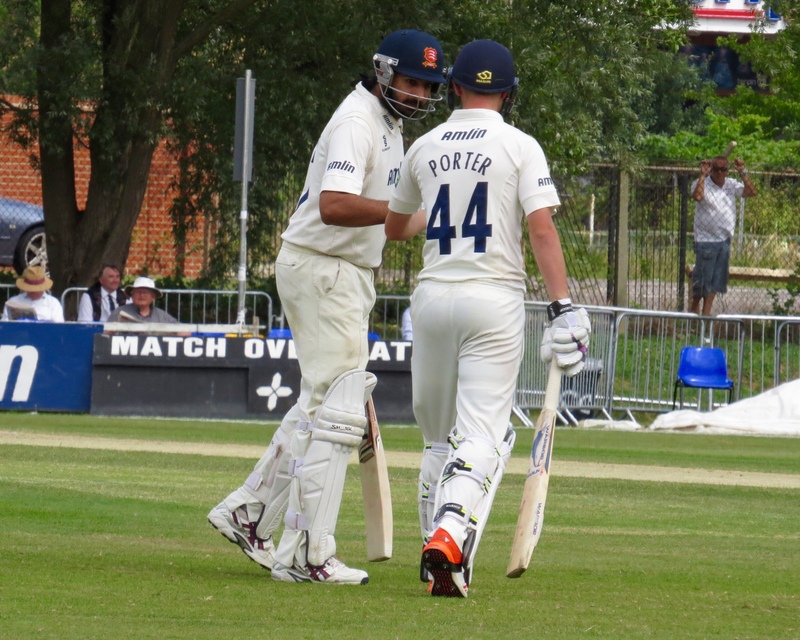 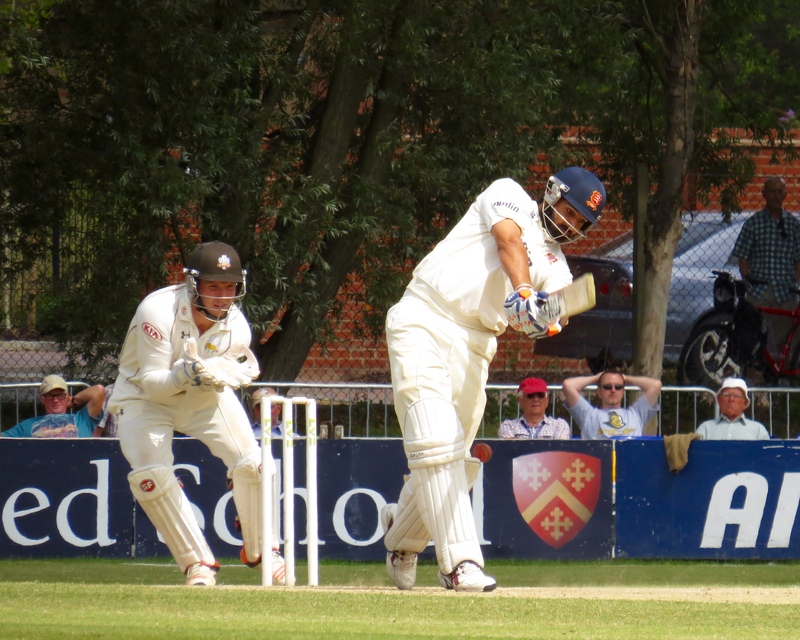 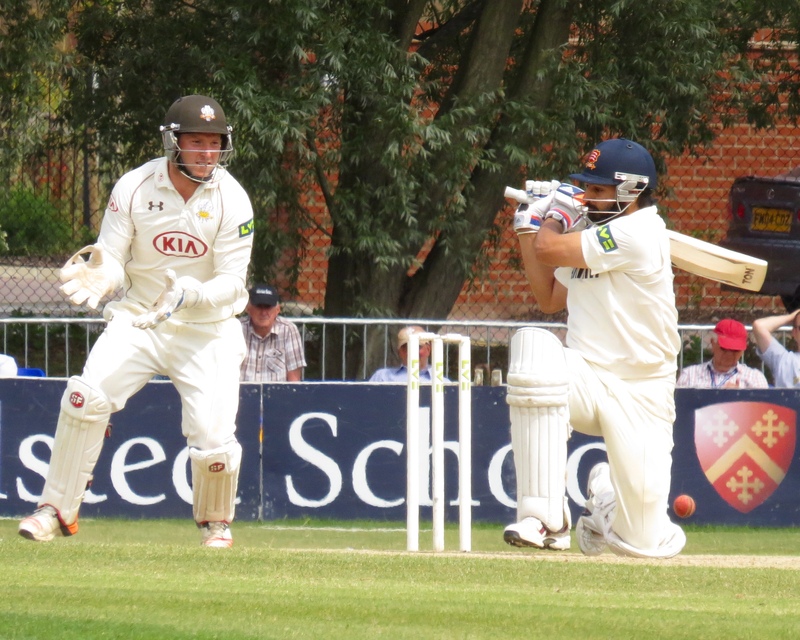 Monty Panesar back in the team after what has felt like a seasons’ absence took 4 for 112. 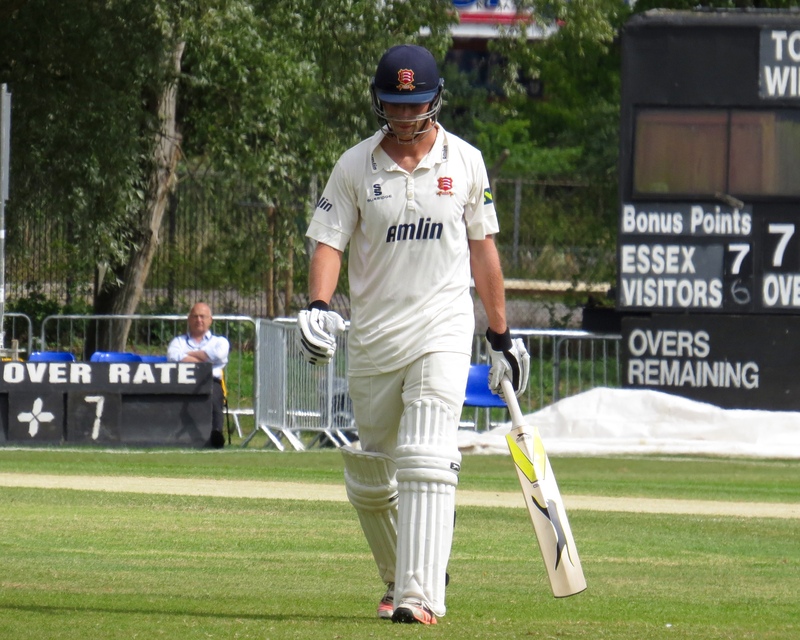 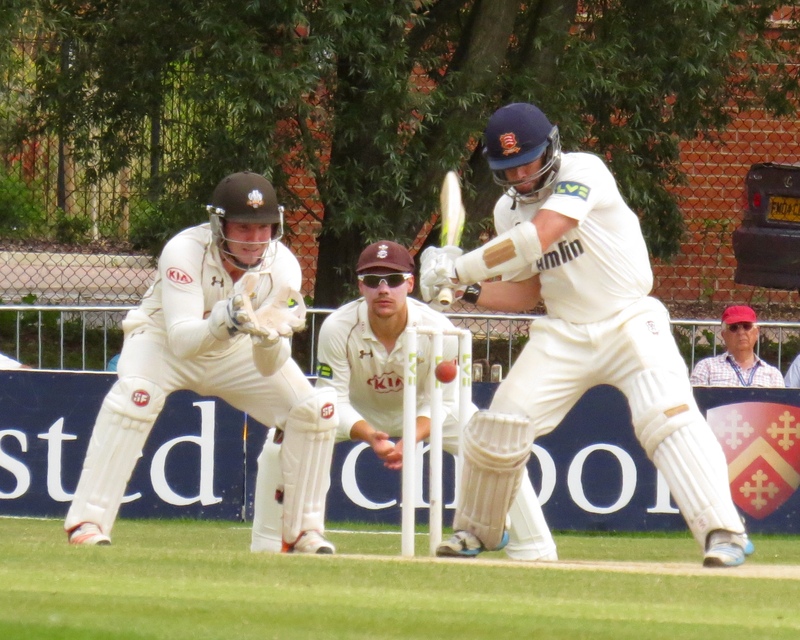 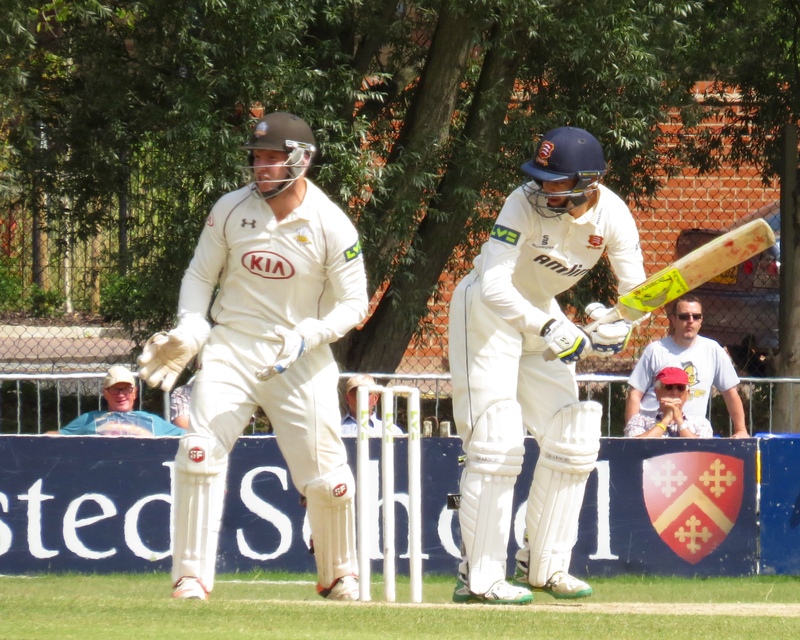 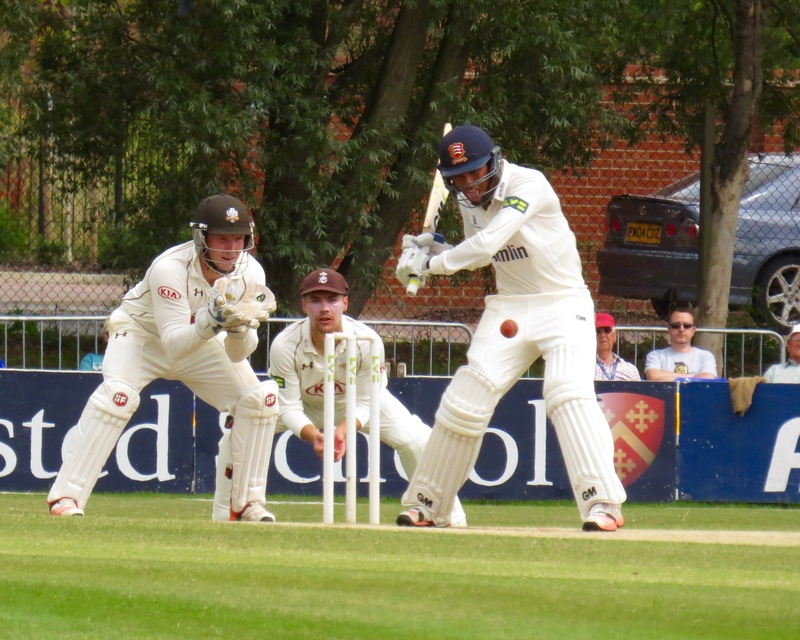 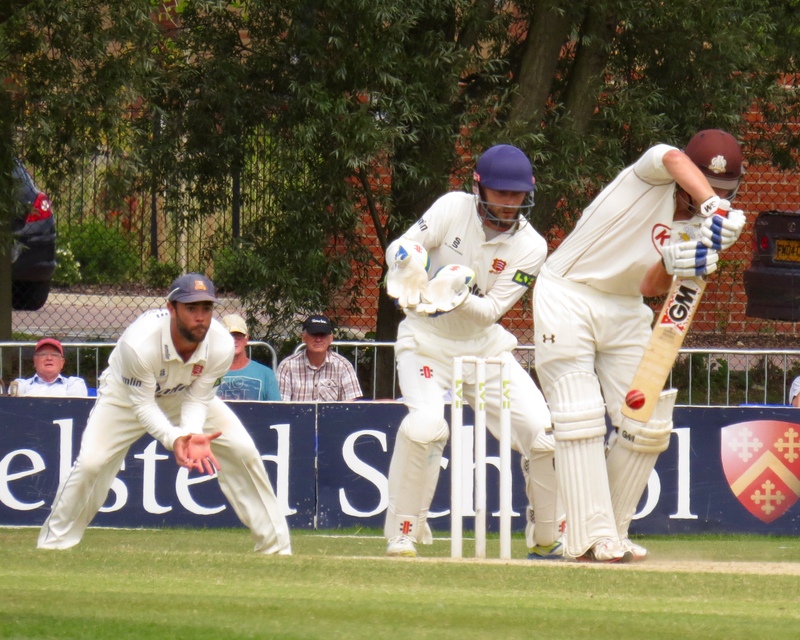 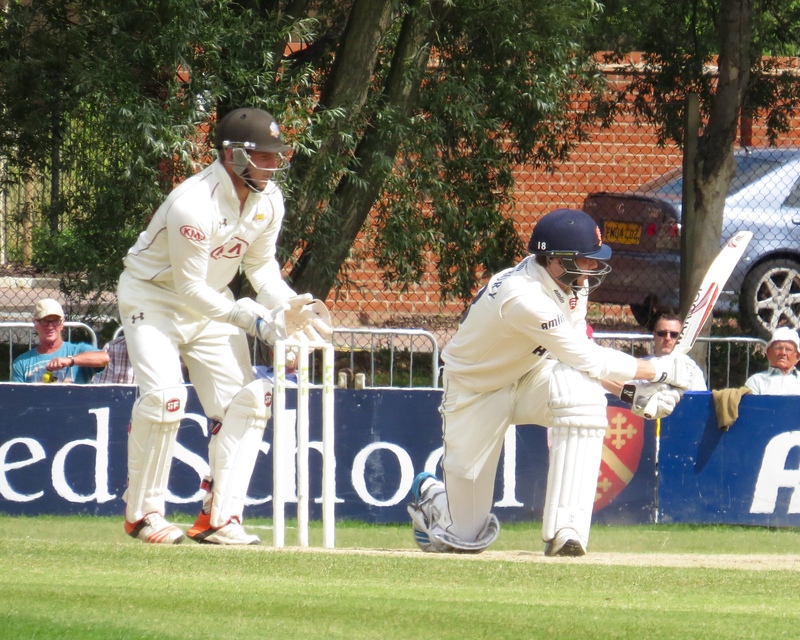 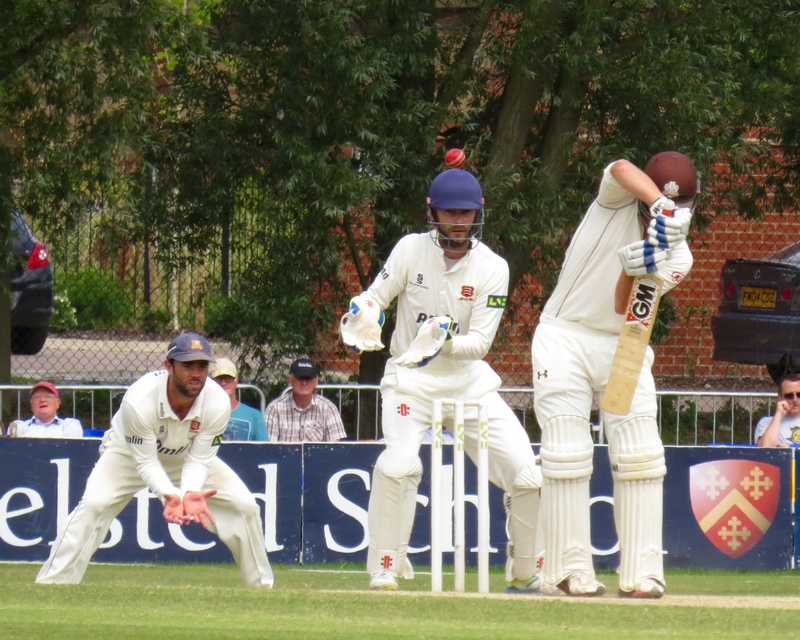 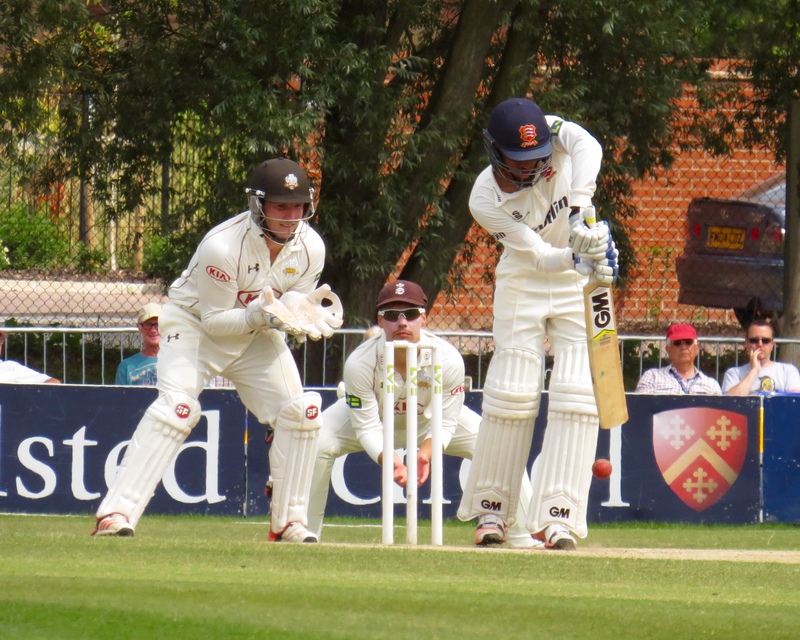 Essex finished Day 3 on 214 for 4 with Tom Westley shining with the bat on 90 not out, I haven’t managed to see Westley hitting big runs this season so was looking forward seeing him bat. 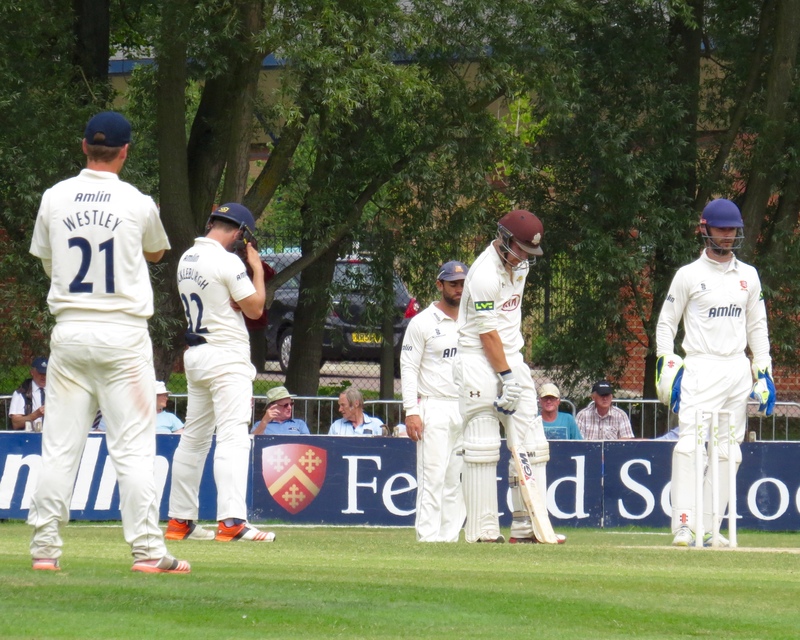 With my recent Ashes experiences this was all rather incredible, a game lasting as long as it was meant to and both teams scoring runs! 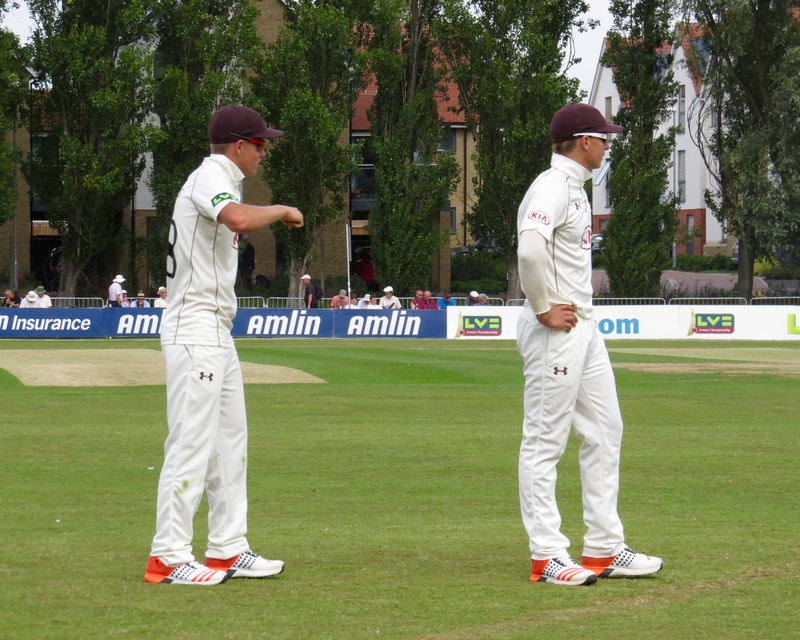 It was all rather peculiar! 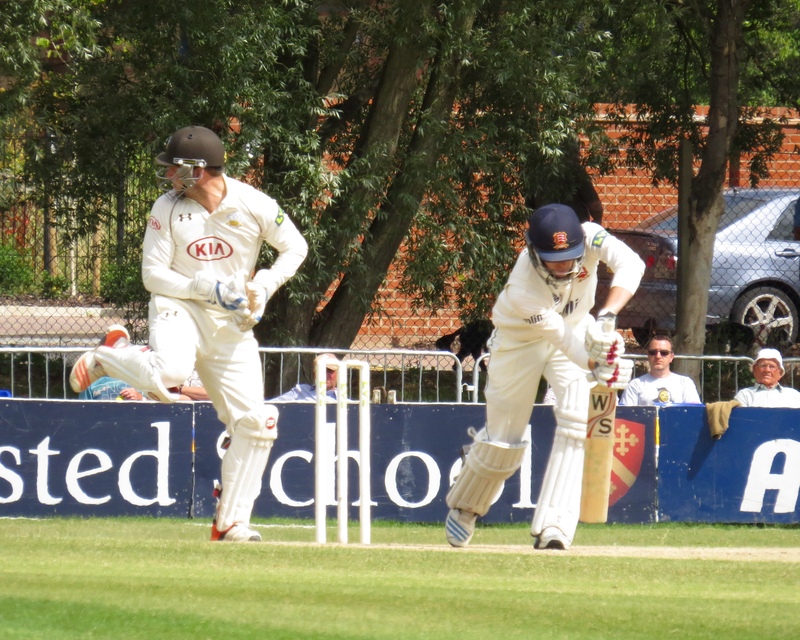 But it did mean I go my live sport fix! 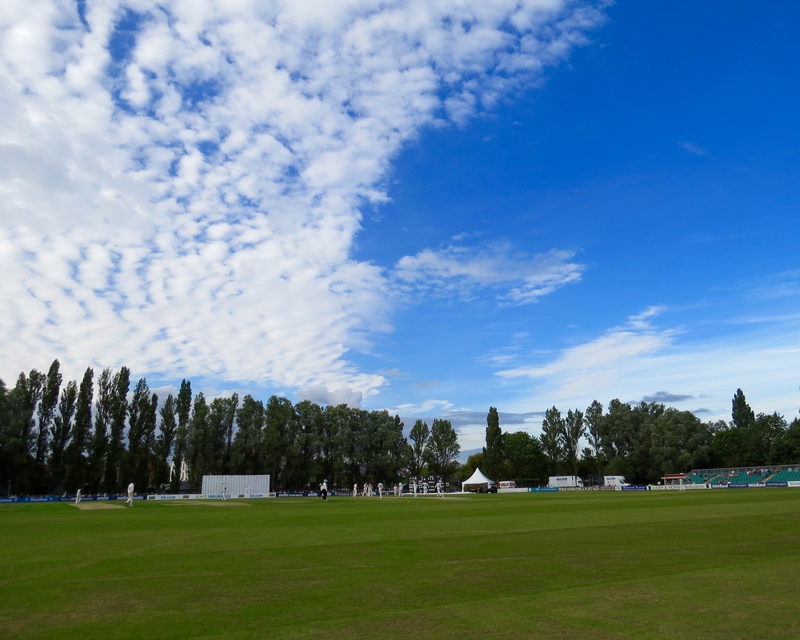 Next to the County Ground Colchester is my nearest place to watch one of my teams, a quick jaunt up the A12 and I’m there. 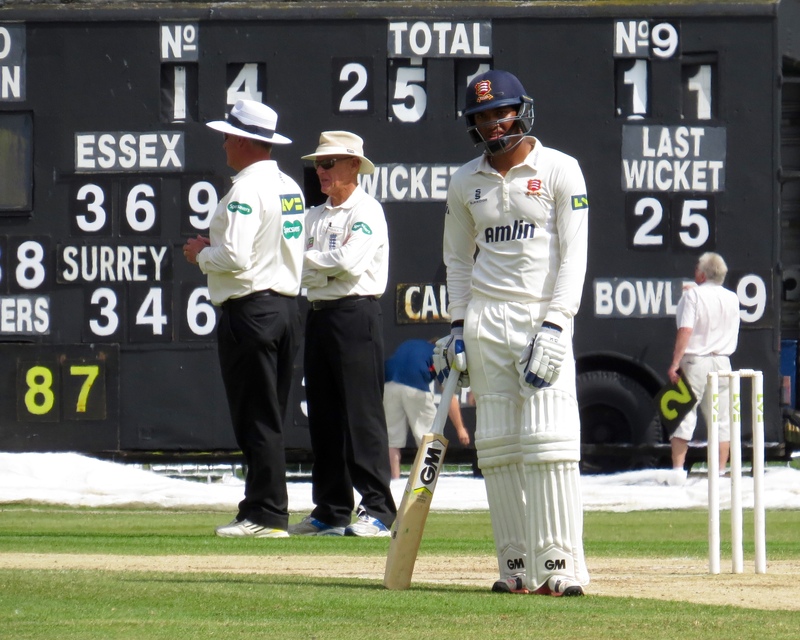 The weather forecast was for rain but I had my emergency strapless dress just in case, my cricket tan is the only one I’m getting this year again – it will not include marks! 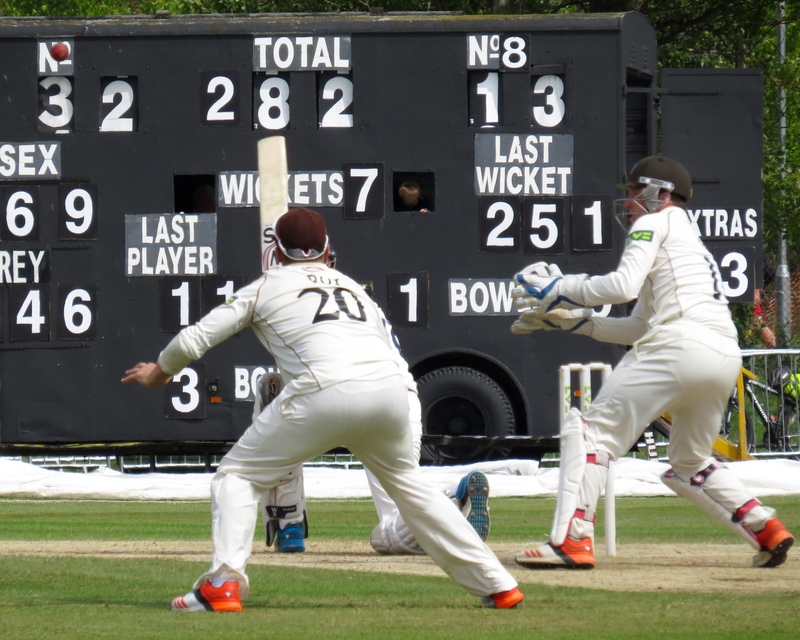 I needed the dress after a short while and we were lucky that not a drop of rain fell. 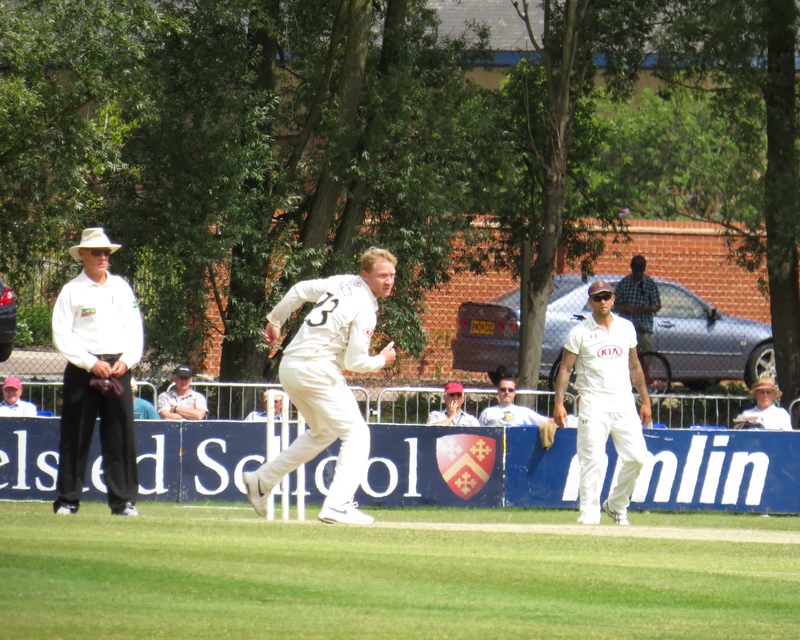 I’m beginning to think I’m bad luck for Tom Westley – he was out having not added a single run by a catch that was almost a comedy catch – It seemed to bounce off all sorts of things before landing in Jason Roy’s hands from the bowling of Surrey captain Gareth Batty. 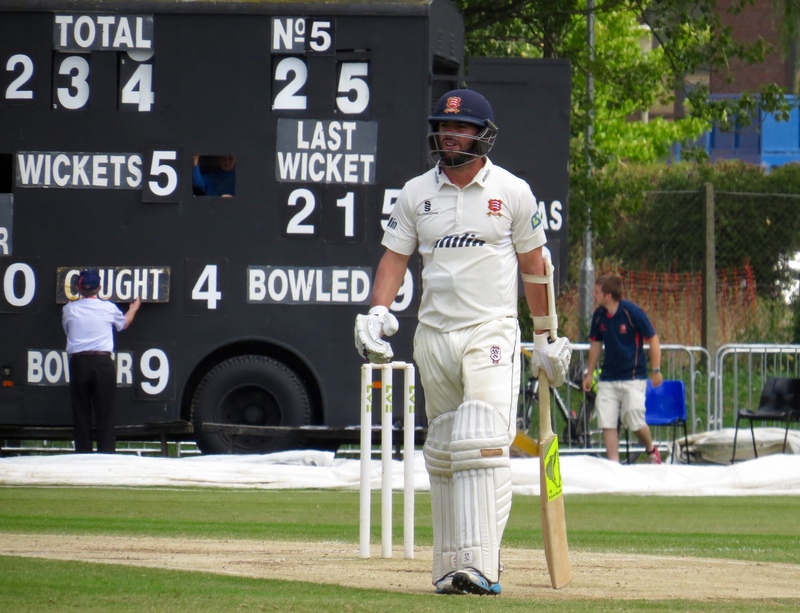 Essex had seen their highest scorer for the 2nd innings depart, there was no one waiting in the wings to add a big score. 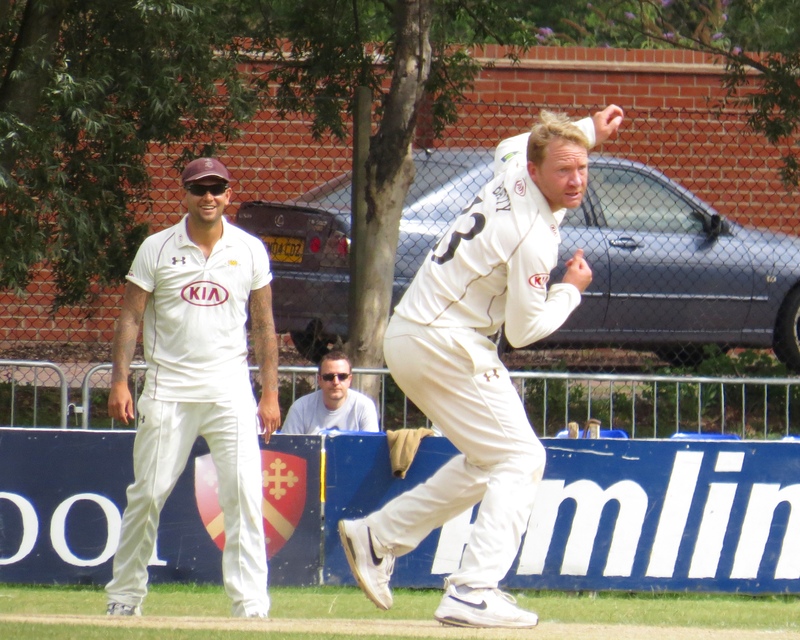 Surrey fielded well and Gareth Batty took 5 wickets for 102 and Ansari added another 3 to his tally to take 8 for the game. 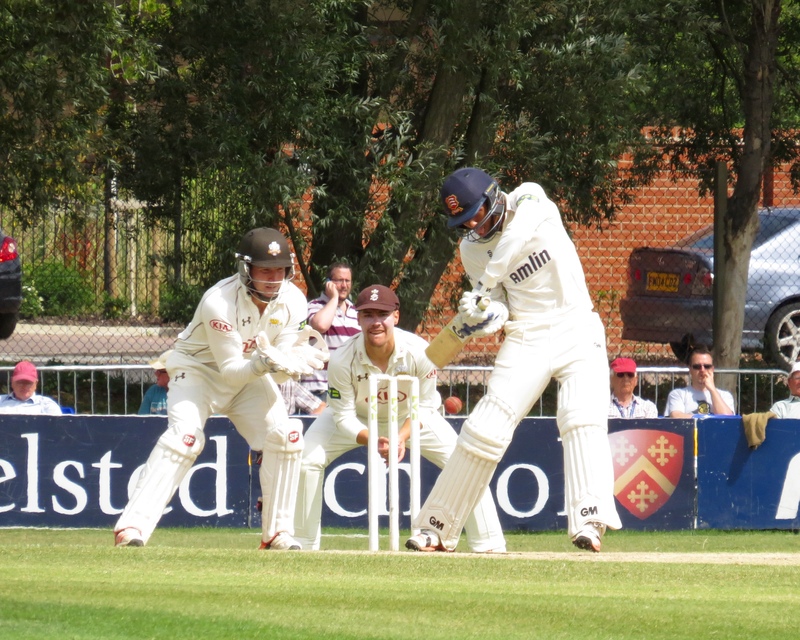 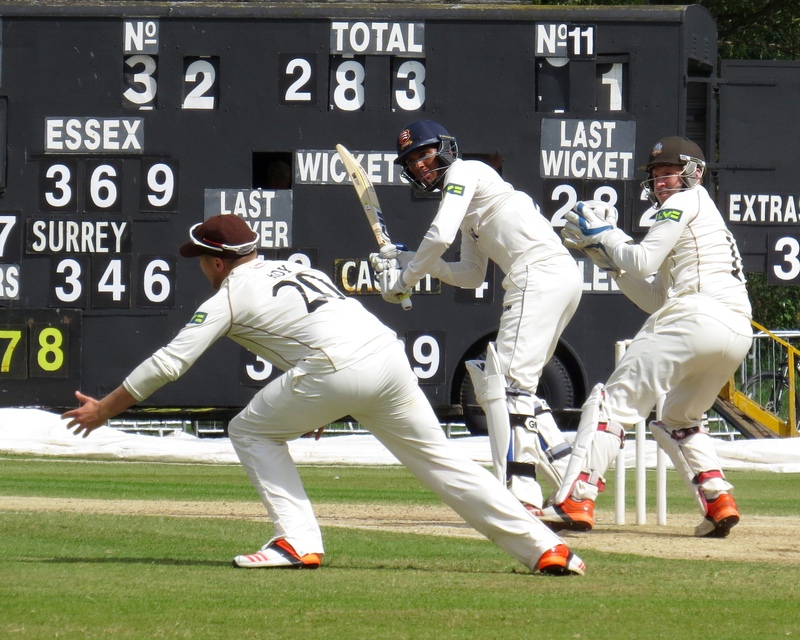 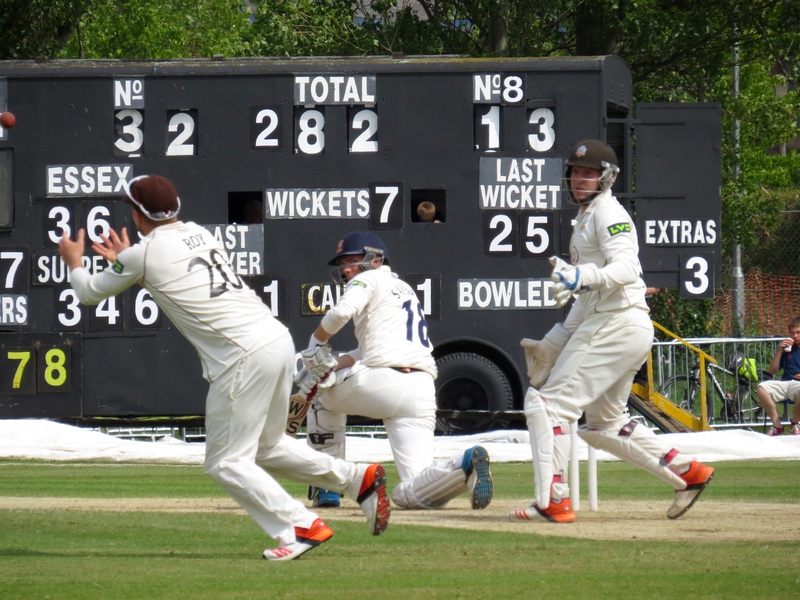 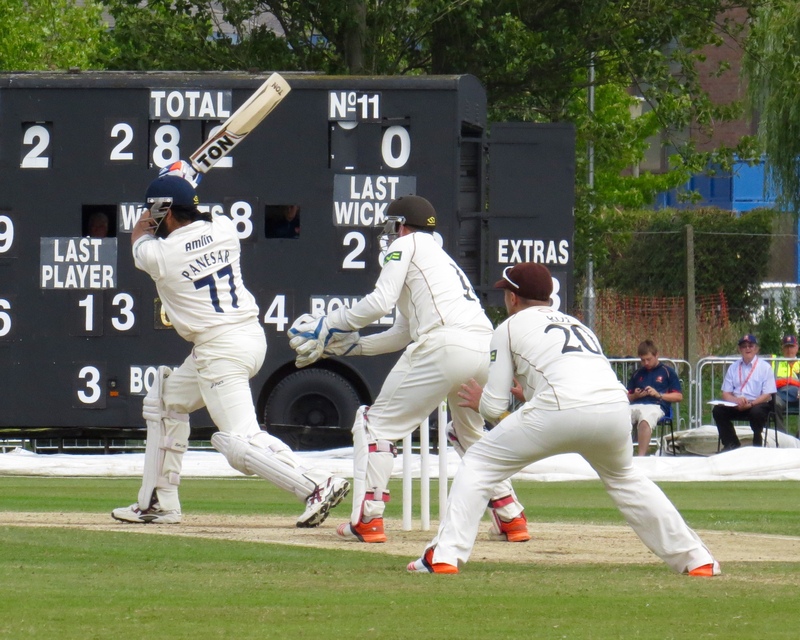 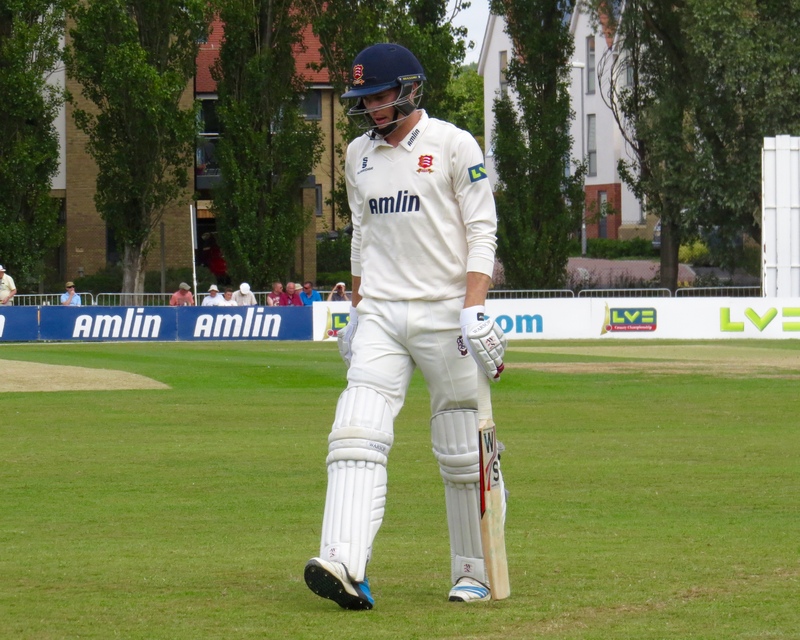 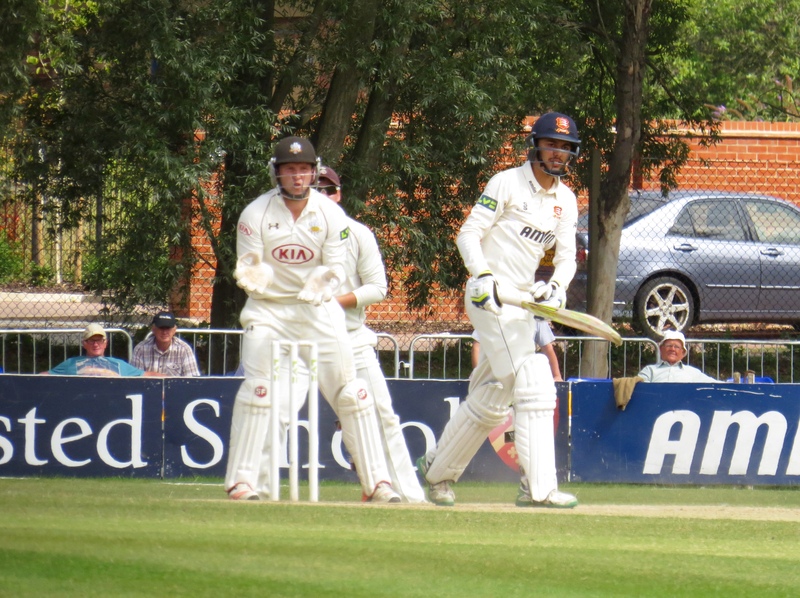 With time running out Essex declared on 289 for 9. 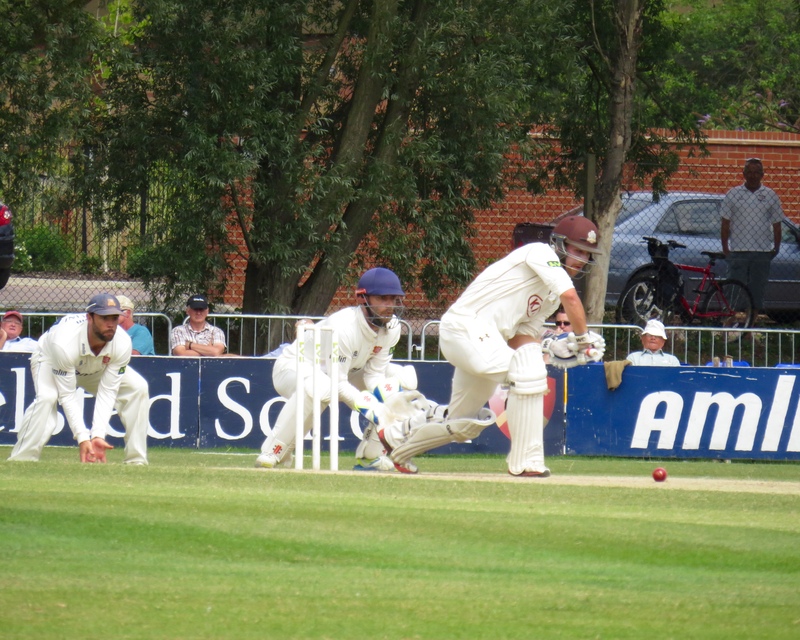 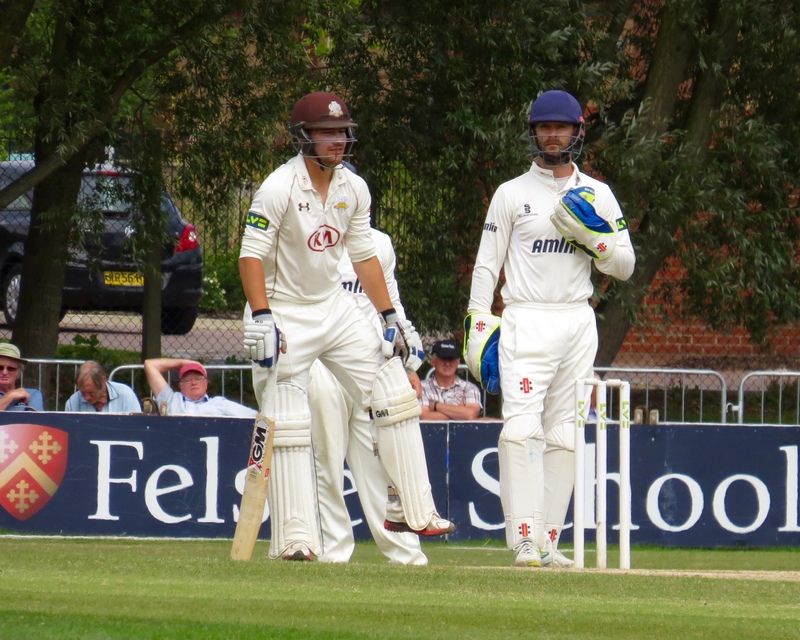 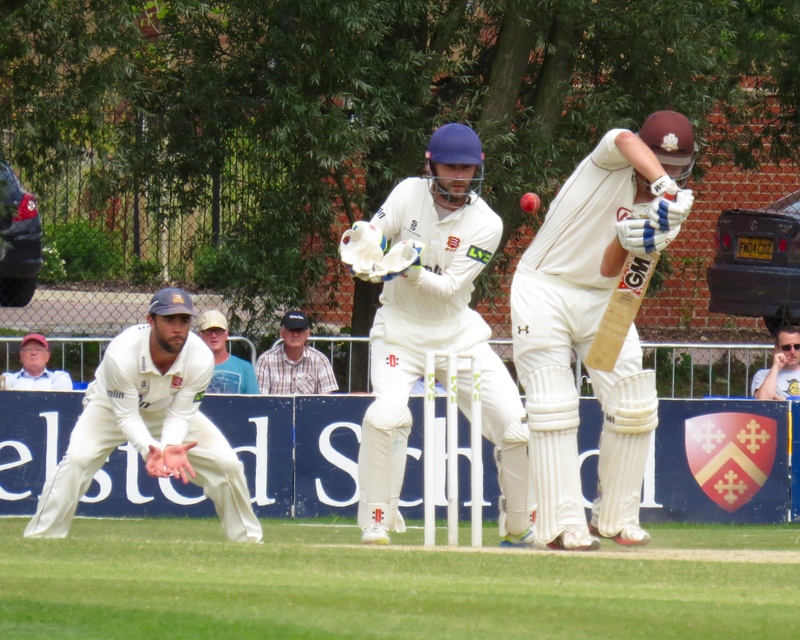 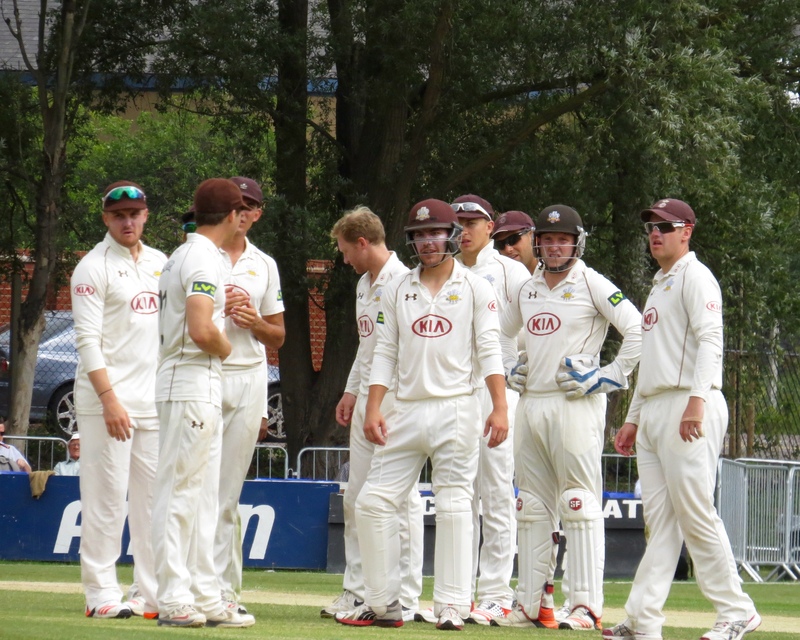 Surrey were set a total of 313 to take the win and the points, could their batsmen stand up and get the runs needed. 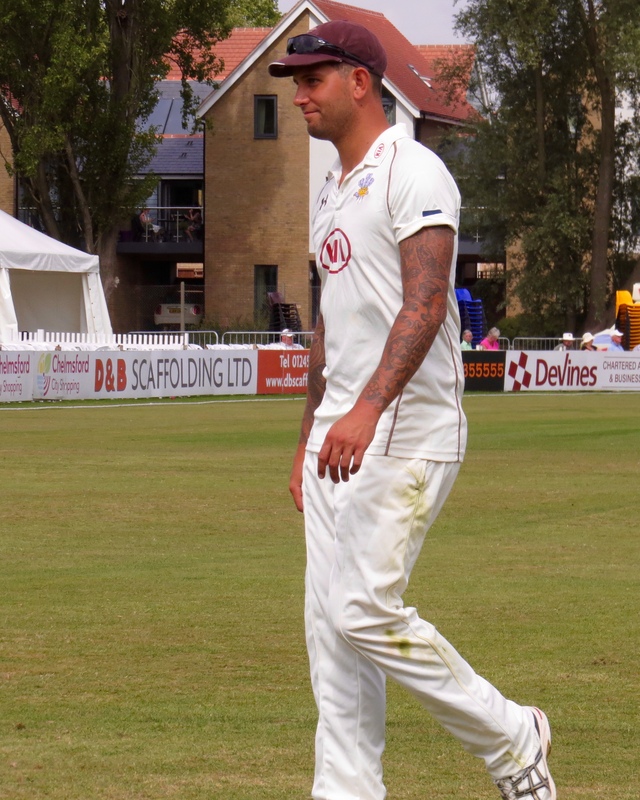 Well,yes they could! 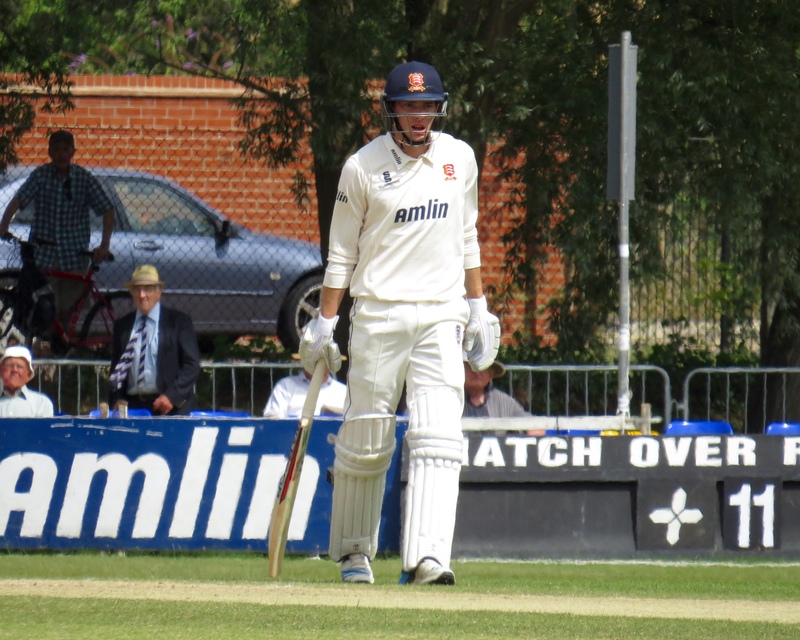 Essex seemed to be lacking in bowlers, both David Masters and Reece Topley were at the ground and came on as the 12th man and Graham Napier and Jesse Ryder were nowhere to be seen. 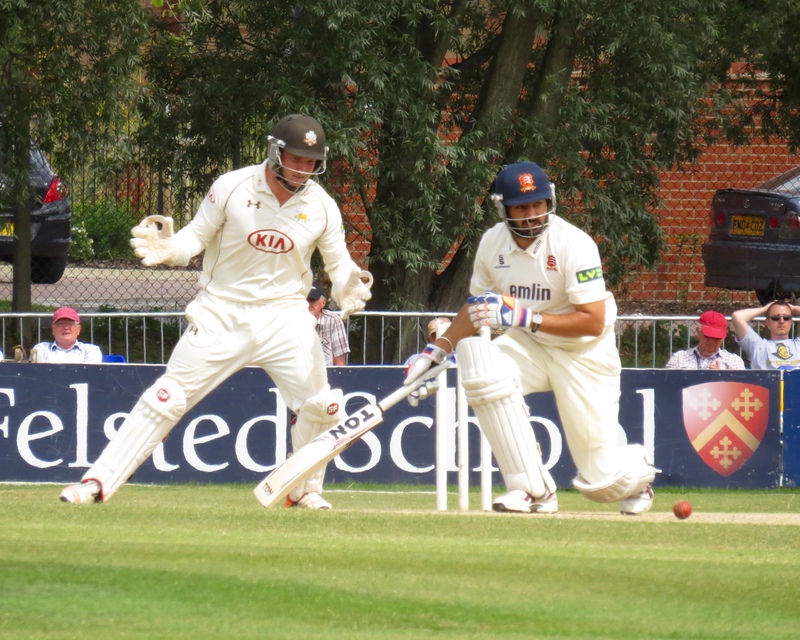 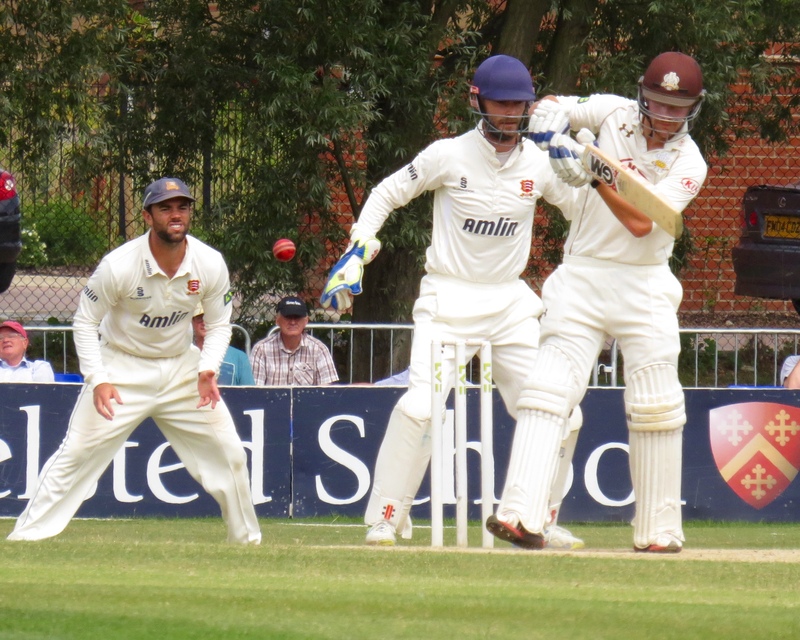 Firepower was lacking in the Essex bowling it wasn’t lacking in the Surrey batting. 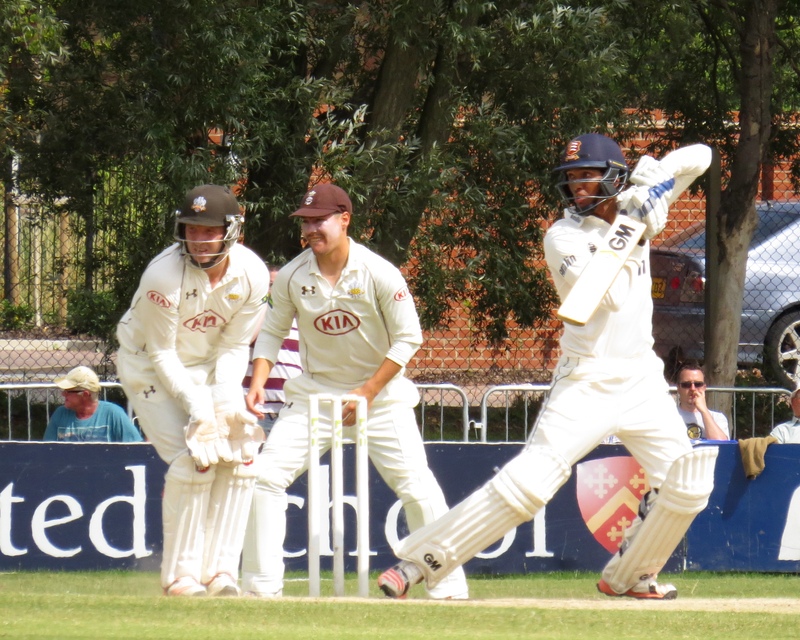 They shared the runs around with Burns scoring 71, Ansari 34, Harinath 87, Roy 37 and Gary Wilson 56 not out. 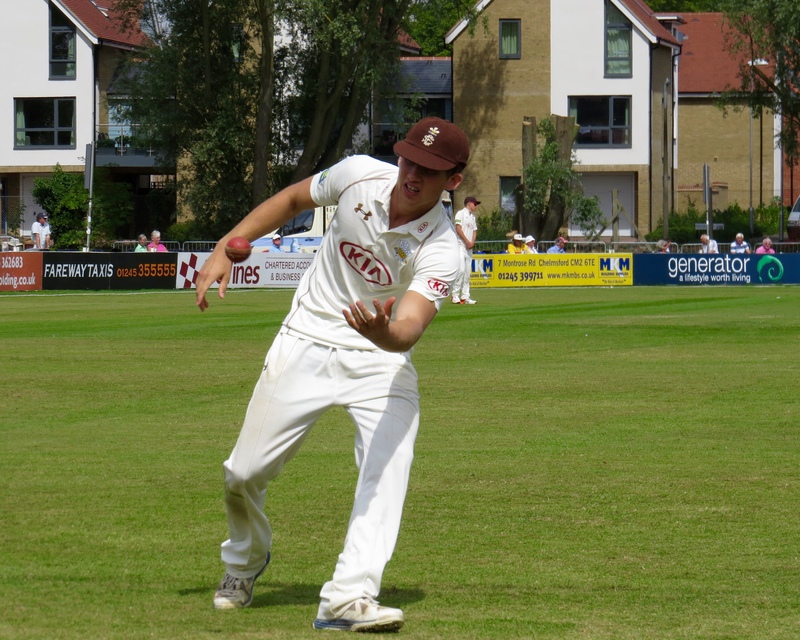 Tom Westley turned top bowler taking 4 wickets for 75, but the result was inevitable, a win for Surrey leaving them a slim hope of promotion. 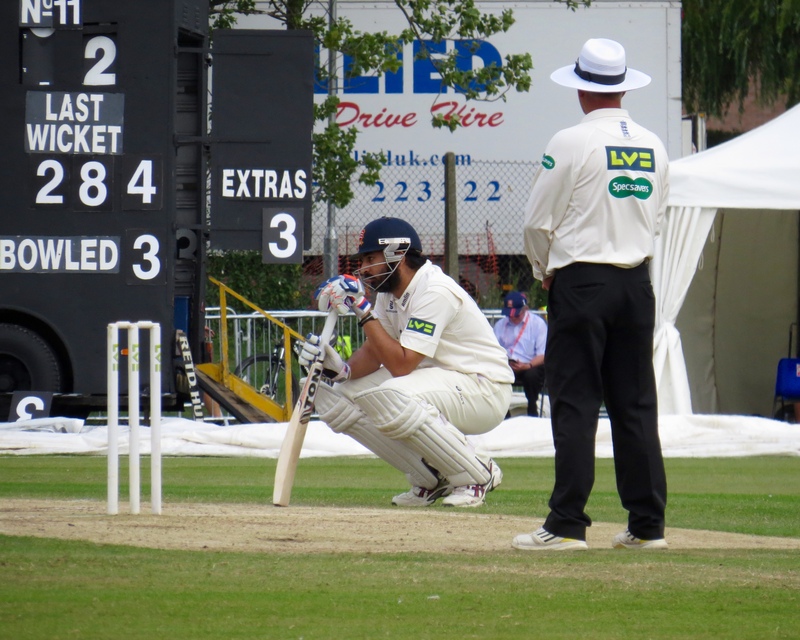 In spite of a good haul in the 1st innings it was worrying to see Monty Panesar looking isolated at times in the Surrey innings. 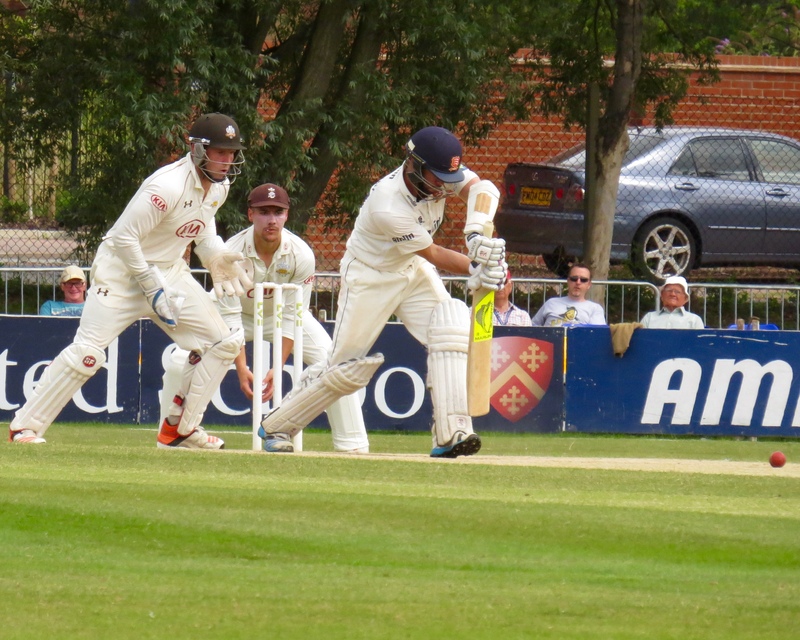 A very enjoyable day in a lovely setting, with one Ashes test to go it feels like the end of the cricket season is rushing up, it was great to see good fielding and runs scored. 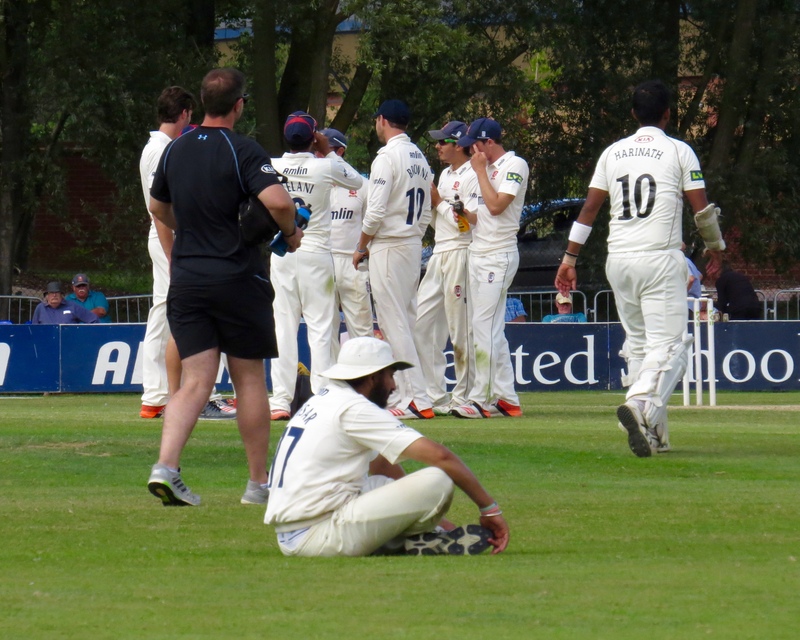 Lunch was a very tasty curry for mere £4.00 probably a school girl error on a hot day, I paid for it! 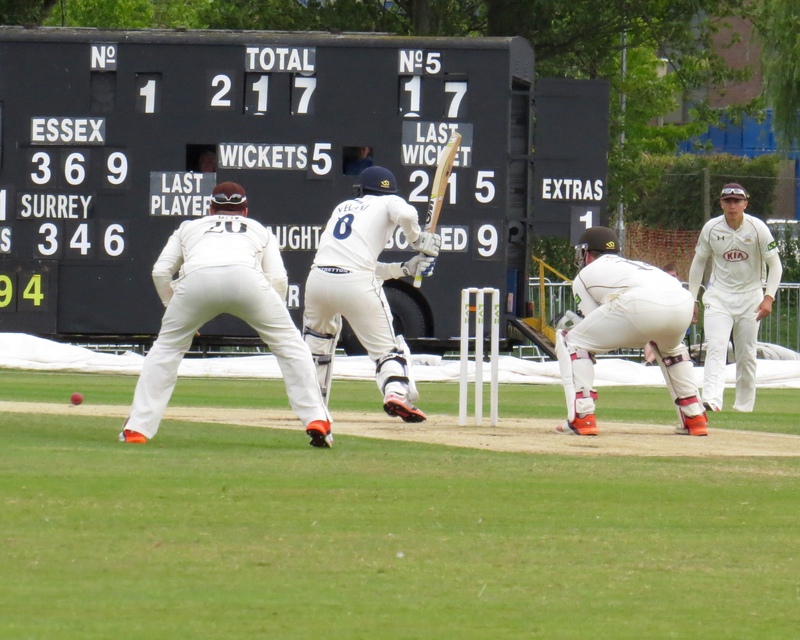 It was disappointing that as Essex members we were largely stopped from going into the pavilion, I managed to blag my way in to buy cake to go with my afternoon cuppa however!